Back in 2000, measles was a non-existent threat in the U.S., with no cases being reported across the country. Unfortunately, things have changed for the worse in recent years. 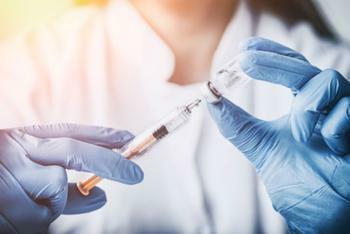 Researchers from the University of Colorado Anschutz Campus say that there were more than 150 reported cases of the disease in the first three months of 2015, despite the existence of a suitable vaccine. To find out why, they conducted an analysis of non-medical vaccine exemption policies and found that the states most at risk of an outbreak had an “easy” policy. So, what makes defines a policy as being easy, medium, or difficult? The researchers explain that an “easy” policy only requires a parent signature on a standardized form to exempt their children from vaccination. “Medium” exemption policies require parents to obtain a form from a health department, attend an education session about vaccinations, or write a statement of objection. “Difficult” policies require parents to have a standardized form or statement of objection notarized. For their analysis, the researchers used Colorado as an example; the state has one of the lowest vaccination rates, with approximately 87.4% of children between the ages of 19-35 months being covered, while 5% of kindergarteners have an exemption. They found that a more difficult exemption policy had big results. “We found that a state like Colorado is 140 to 190 percent more likely to experience an outbreak with an easy exemption policy than if it had a medium or difficult non-medical exemption policy,” said lead author Melanie Whittington. In addition to lowering the risk of measles outbreaks, the researchers say that more difficult exemption policies could help prevent other diseases like the mumps. They stress that there is a tradeoff with having more difficult policies, but that the added safety is worth it. "It's a trade between freedom and risk. Are we willing to give up a small piece of freedom that nudges us toward vaccination in order to halve the risk of a detrimental outbreak of a preventable disease? I think Colorado should be willing to make that trade," said Dr. Jonathan Campbell, associate professor of clinical pharmacy at the CU Skaggs School of Pharmacy and Pharmaceutical Services. "We are not saying you can't have non-medical exemptions," Campbell and Whittington added. "But if we strengthen them, we can improve health and reduce the economic impact of a potential outbreak." The full study has been published in Academic Pediatrics.